Brief description: Sod webworms are the larva of certain species of moth. These immature moths love dining on the stems and blades of grass, creating irregular patches of brown or yellow on lawns. Sod webworms are native to the United States, unlike many invasive pests. 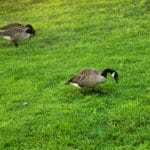 They a common nuisance on golf course greens, in cemeteries, and home lawns that are exposed to lots of sunlight. Webworms get their name from the web-lined tunnels in which they hide out during the day. They are light green or light brown, with rows of spots on their body. The adult moth form of the insect is a white or tan moth with a snout-like projection coming out of its head and wings that wrap around the body. Sod webworms describe the second, larval stage of several species of moth. In most species, the females lay up to 200 eggs in early summer, though some varieties lay eggs earlier. After about 10 days, the sod webworm larva emerge from the eggs and begin to feed. As they grow, they consume leaves and stems of grass and complete a series of 6 to 10 larval instars. They feed through late September and then overwinter as mature larva. They feed once more and then pupate from May until early June. Ten to 14 days later, the adult moth emerges. In its adult form, this insect is harmless, but larval populations can cause real distress, especially those species that hatch in early spring and have more time in a single season to multiply and eat up a lawn. 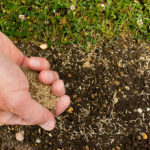 Small brown spots will appear on infected grass, slowly at first, but then as temperatures rise and the weather gets drier, those spots will grow and intersect. Webworm-related patches are often mistaken for drought stress, and indeed, webworm damage tends to be worst during a drought. 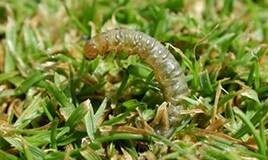 You can tell if webworms are to blame for lawn damage by getting down on your hands and knees and inspecting the area for the larva’s web-lined tunnels. You can also move grass blades aside along the perimeter of a patch of damaged grass and look for excrement pellets of the webworms. Nematodes are a non-chemical option to suppress sod webworm populations. Nematodes are tiny worms that live in the soil and can kill webworms. They must be handled with care because they are living, breathing organisms. 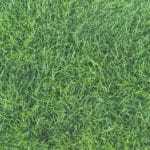 Another non-chemical approach is to sow endophyte-enhanced turfgrass as new seedlings or incorporate it into the current lawn. Endophytes are beneficial fungi that help strengthen grass plants and make them more resistant to insects and disease. 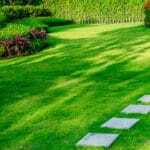 Check with your local lawn care professionals to discuss sod webworm control techniques at will keep your lawn healthy and looking good.